Here’s another way for children to enjoy traditional peanut butter and jelly. 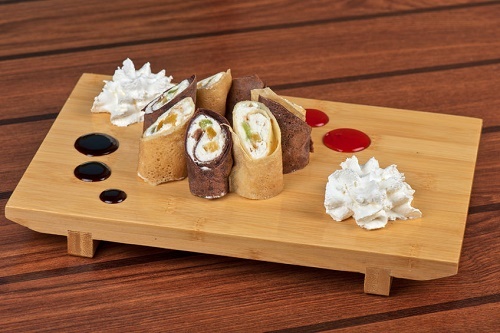 Inspired by Japanese maki rolls, it’s the perfect meal for “grown up” kids. With three simple ingredients, you can serve up these elegant rolls in less than ten minutes. Remove the crust from the bread, flatten with a rolling pin, spread peanut butter and jelly, and roll up. Cut into 3 to 4 parts and serve.